Right-click and Run as Administrator mbam-setup.exe and follow the prompts to install the program. Once installed, Malwarebytes will ask if you want to Launch Now. 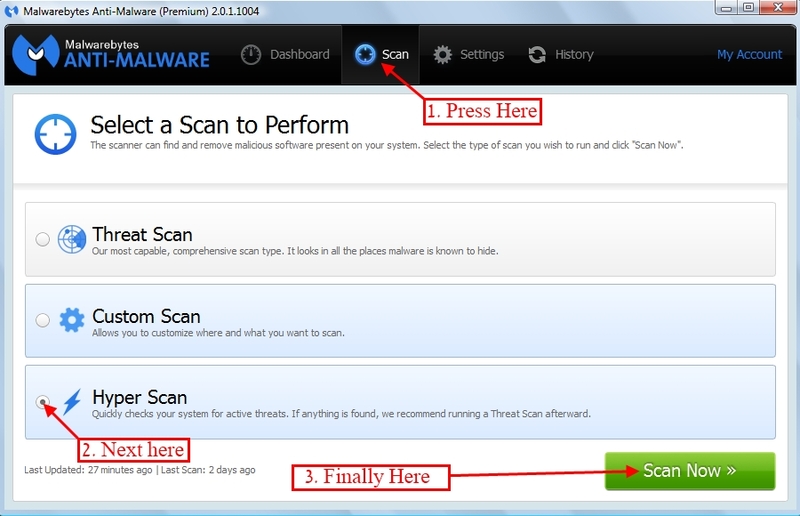 Please select to do so and then Malwarebytes will open and update on its own. Please allow this to complete. Let's be sure to run a Hyper Scan. Press the Scan tab and then select Hyper Scan. Press Scan Now then Skip Update (since we just updated it). When the scan is complete, click View Detailed Log, then Export to save the log to your Desktop (name the log MBAM Scan). Copy and Paste all of the information in that file to your next reply.